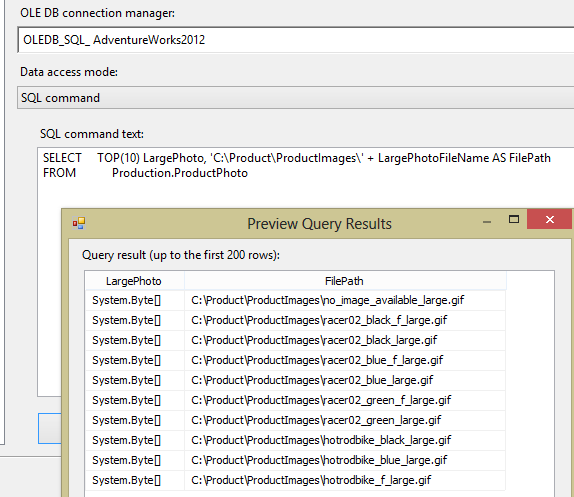 How to Export Images from a database to file system in SSIS using the Export Column component. I have wanted to blog about this for quite some time. 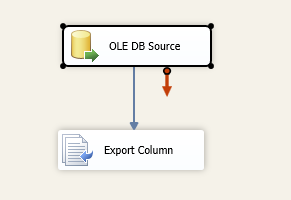 The Export Column is one of those SSIS components that you never use but need to know about just in case. This is also a very easy component to configure. The source query requires the photo column and the path of where you want to store the photo on your file system. Next bring the Export Column transform into your data flow and connect it to your source. Finally, open the export column and set the properties for the Extract Column(Photo) and File Path Column. Execute the package and you’re done! This transform saved me some time ago when I needed to extract images for a report. Thanks for looking! Use File Cache and the Cache Transform to help mitigate network issues.